When Lillim Callina was only thirteen years old, her mother locked her in a haunted house filled with sleeping vampires a half hour before sundown. This is her story. 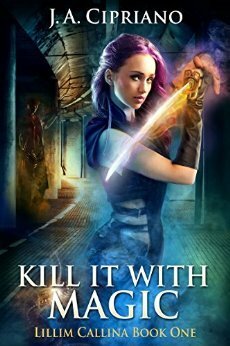 Alone in the Darkis a short story prequel to Kill it with Magic, the first book in the urban fantasy series, The Lillim Callina Chronicles by New York Times Bestselling Author, J.A. Cipriano. 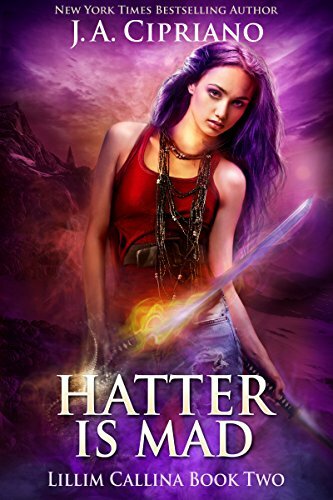 Readers who enjoyed Jim Butcher’s The Dresden Files, Patricia Brigg’s Mercy Thompson series, or Kevin Hearne’s The Iron Druid Chronicles will likely enjoy this paranormal adventure. Sign up here to receive this book for FREE! A city full of vampires. A dark ritual. A runaway determined to stay hidden. Lillim Callina was still trying to figure out how to live like a normal girl when the vampires attacked. 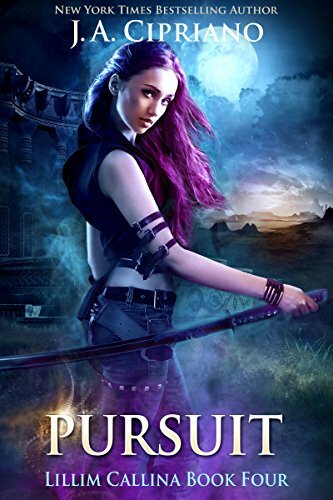 Now, this former demon hunter must decide if staying hidden is more important than saving her new home from the largest vampire infestation she has ever seen. The only problem is, if she stops the vampires, the people hunting her just may find her, and they aren’t too fond of deserters. Lillim Callina was raised to believe she could kill anything. Why wouldn’t she? She was brought up by the Dioscuri, a group of supernatural warriors charged with keeping the human world from being overrun by monsters. The only problem is, they don’t like it so much when you run away. It all started with a cheap piece of candy. Lillim knew she shouldn’t have eaten it, especially since it was sent by her demonic ex-boyfriend. How was she to know that just one lick would have an ancient, unstoppable dragon kicking in her front door and demanding she help him take over the world? Or that it would get her stuck in the middle of a turf war between a werewolf king and a millennia old vampire? Why did a billion year old god have to go and kidnap Lillim Callina’s best friend right when she was just starting to get her life back together after Caleb “I’m-a-huge-jerk” Oznek left her without so much as a pity glance? He must have known she needed to vent her frustrations on someone’s face. 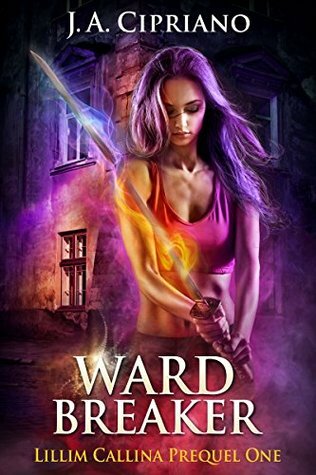 Armed with her trusty swords, Isis and Set, Lillim is going to track him down, even if she has to fight her way through an entire orcish horde, relive the worst moment of her life, and talk to her mother. The only problem is, to stop him, she may have to forgive Caleb too. Lillim Callina knew, just knew, Kishi Al Akeer that was capital-T-trouble. Still, somehow, someway, she let herself be talked into venturing into the heart of Fairy. How was she to know that Kishi would upset the balance between the summer and winter courts and start a civil war that could threaten to unbalance Fairy’s seat of power? No, it was completely reasonable to expect that this would allow the Celtic death god Crom Cruach to rise and try to seize Fairy for himself. Now the only way to save Fairy is to kill a death god. How hard can that be? Lillim Callina was a young girl when Masataka stabbed her through the chest with a trident just before armed guards pulled him away. Since then Masataka has been patient. He has bided his time. And he has come to power. 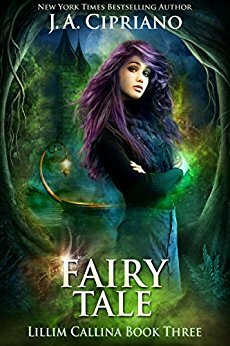 Now he has seized control of an army who will do anything he wants, and the only thing he wants is to kill Lillim Callina. This time, there will be no one to hear her scream. 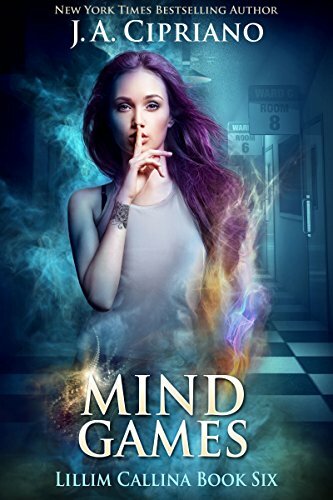 When Lillim Callina takes a case from a local police detective, she finds herself trapped into the Greek Underworld alongside Thes, the captain of her high school football team. To get back home, she’ll have to fight her way through Tartarus, cross a river of fire, ascend the stairs into Hades, and battle Spartacus himself. It’s a good thing Thes is a werewolf because, otherwise, she’d be screwed. Sometimes the voices in your head are real. Lillim Callina is crazy, at least, that’s what the doctors tell her. Still, despite their insistence that everything is normal, that monsters don’t really hide under the bed and werewolves don’t really howl at the moon, Lillim can’t shake the feeling they’re just plain wrong. So what’s a girl just released from a mental hospital to do? Pretend. And that’s what Lillim does. Pretend everything is normal. Pretend her school is real. Pretend the cute boy is really walking with her down the hall. Pretend her mother isn’t really dead. Because if she doesn’t, they’ll toss her back in crazy jail and throw away the key. If that happens, there will be no way for her to escape, assuming, of course, that she isn’t actually crazy. Lillim Callina is good at fighting monsters, but when she finds out Nidhogg, the ancient dragon confined beneath the world tree, is breaking free, well, let’s just say if she can’t stop him, Ragnarok is a thing. 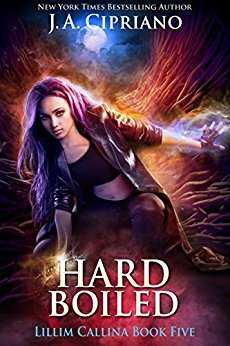 Connor, a demi-god possessed by an Ancient Evil destined to destroy the world, has agreed to help her stave off the apocalypse, which sounds all well and good if you can ignore the whole “demi-god possessed by an Ancient Evil” thing. So yeah, probably not the world’s most trustworthy ally, but any port in a storm, right? Where is Jean Luc? I actually liked him better than the protagonist but he hasn’t shown up. Please tell me that we will see him in the future. I liked your book. I was wondering why the link to the free book isn’t allowing me access to it. If you click the link and put in your email, it should be emailed to you. Enjoyed this series greatly. When will the next come out? Just finished reading the series and I am waiting on pins and needles for the next addition. I couldn’t put it down. Twists and turns that couldn’t be predicted throughout the series. Well developed characters. This series is a book lovers dream!